Big Robot was awarded an Indiana Arts and Humanities Institutes (at IUPUI) grant. This funding gift has been awarded for the production of the upcoming Big Robot DVD, due for release in 2012. 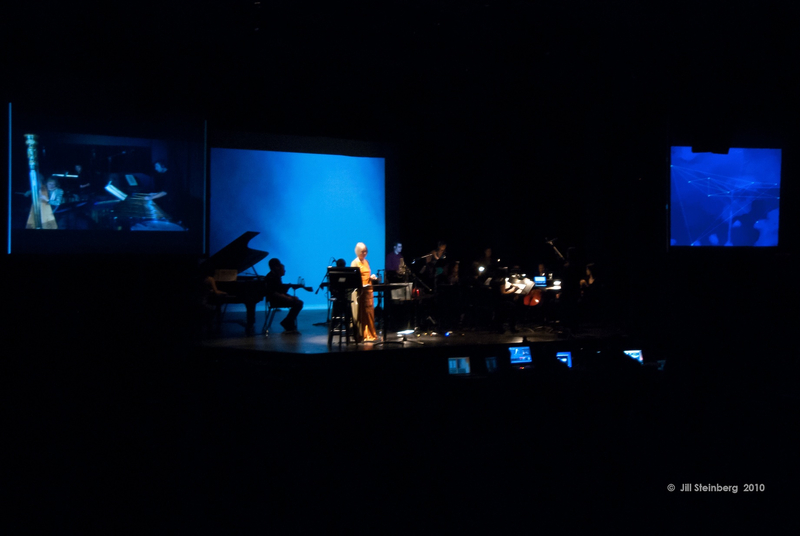 The DVD will be a combination of music and video graphics composed by the ensemble, and represents their current concert repertoire. For more information on Big Robot, please visit their website. 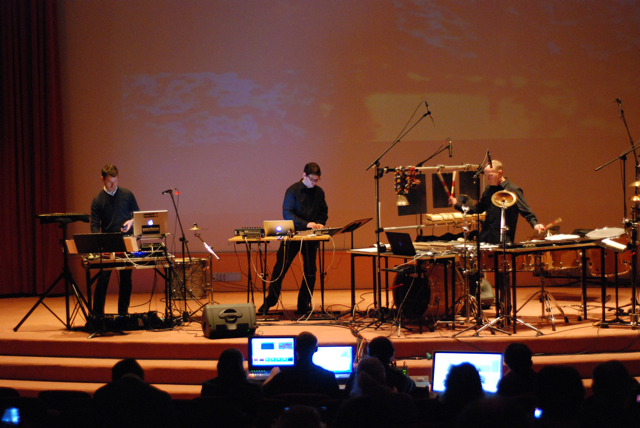 Big Robot presented a concert at the University of Illinois at Urbana-Champaign on April 14. We premiered Jordon Munson’s new video for our piece Noir. The following day I had a great time with the percussion professors Bill Moersch and Ricardo Flores, and their students, in a clinic presentation on percussion and interactive music. 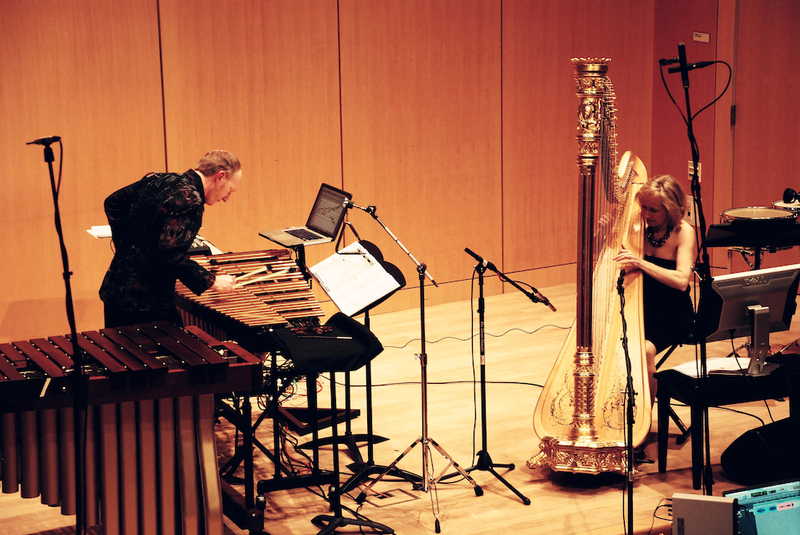 ZeroSpace was presented by the Center for 21st Century Studies at the University of Wisconsin Milwaukee. 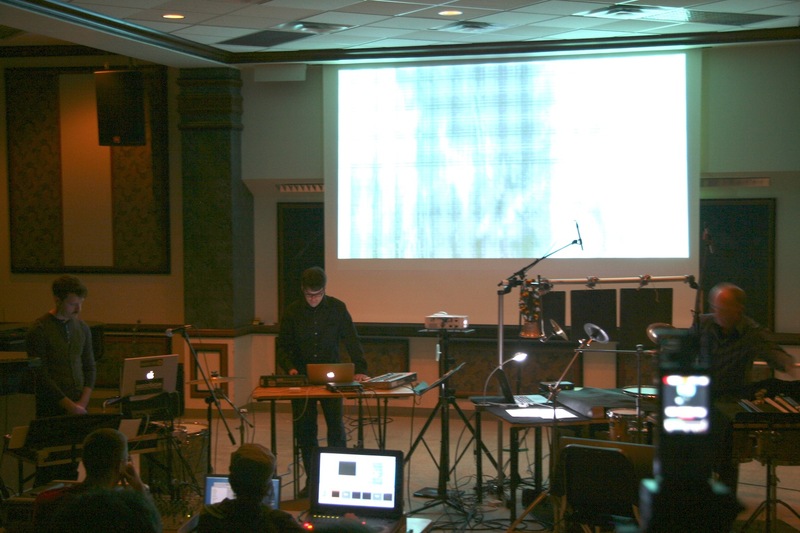 Organized by Matthew Burtner, the event included Chris Chafe of Stanford University, the Interactive Media Research Group, the Telematic Collective, Margaret Dolinsky, Christopher Burns, and myself. 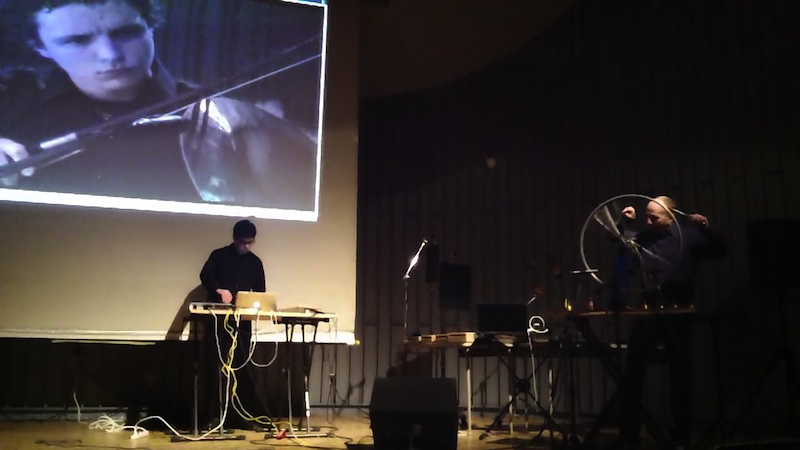 Photo: Nick Hartgrove performs Deconstructions #4 (M. Drews, 2011) online from Indiana with the composer and myself onstage in Milwaukee.